Virtuo produced this 360 video in September 2015 for the Graph Synergie agency and for the Montreal Impact soccer team. 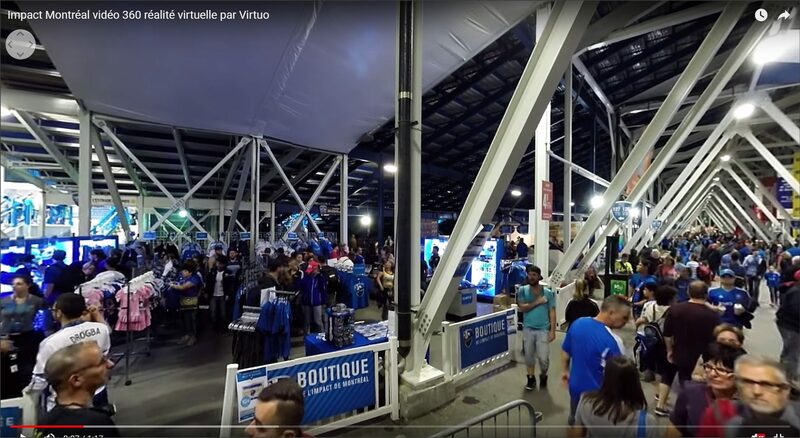 The goal of this immersive 360 virtual reality video experience was to bring the atmosphere of the Montreal Impact soccer game at Stade Saputo into an immersive VR headset to use in a season ticket sales campaign. This was one of the first VR 360 video projects that Virtuo produced. 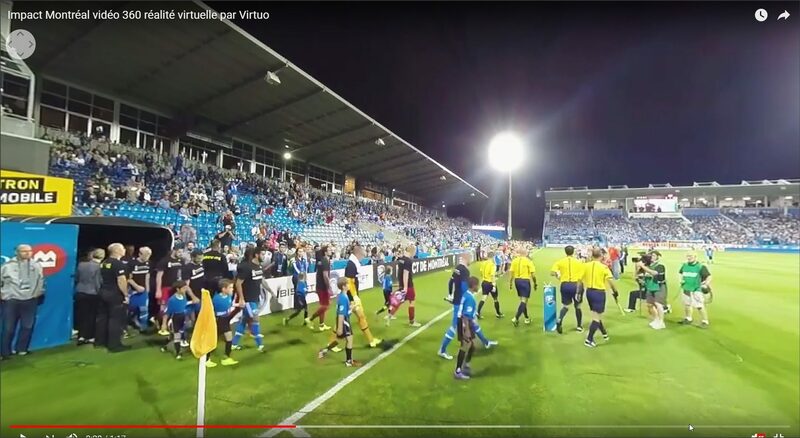 Since then, Virtuo 360 Agency did more than 60 projects in 360° video virtual reality for several prestigious companies. 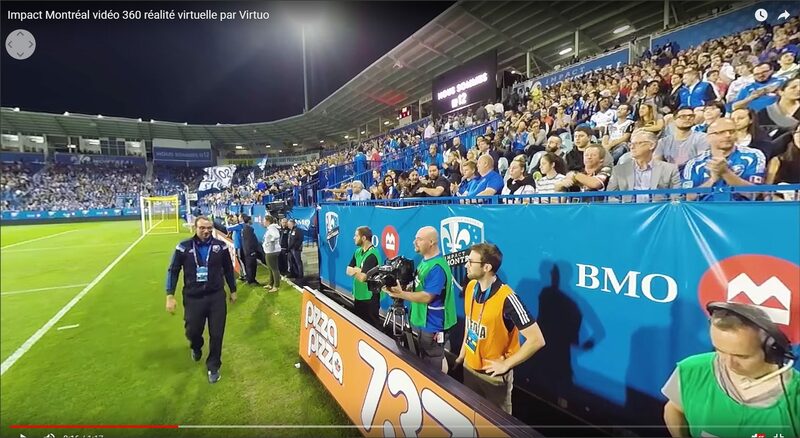 Since 2012, Virtuo360 confirms its leading position in the field of 360 immersive productions, 360 photography, 360 video, virtual reality content and virtual tours. 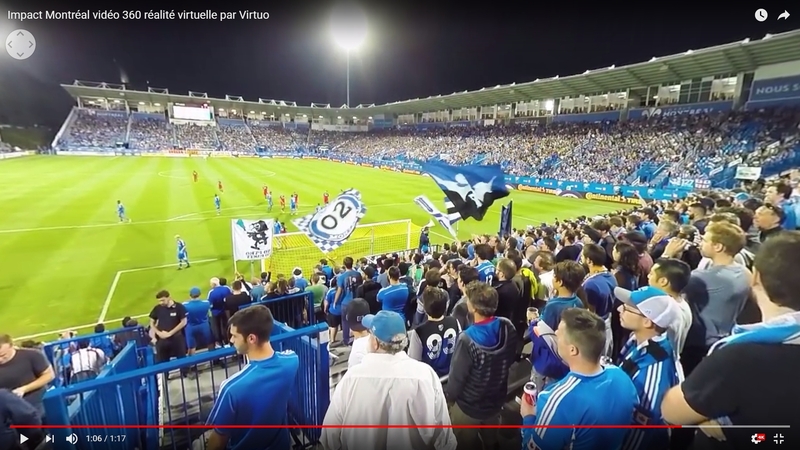 With offices in Montreal and Toronto as well as a presence across Canada as well as in New York, Boston, Washington, Miami, Cancun and Mexico City. 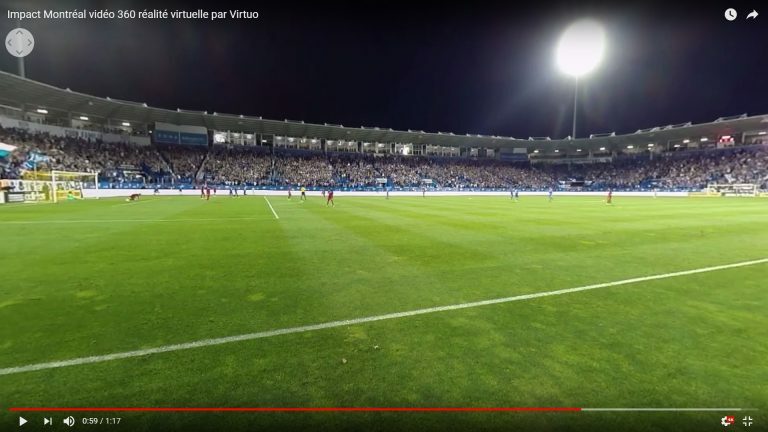 Virtuo360 provides customers with the highest standards of 360-degree photos and videos, unparalleled customer service and professional advice to help customers get the most out of their immersive 360 content and their Google My Business profiles. 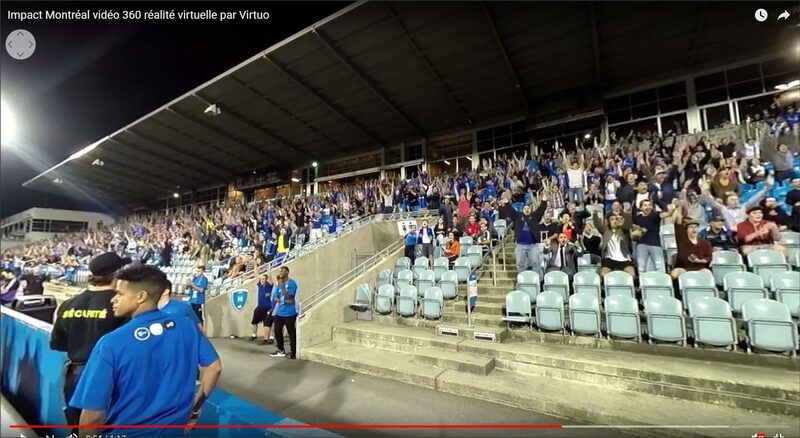 The Virtuo360 team consists of approximately 30 people in nine cities in Canada and the United States. Our multi-talented team is made up of photographers, videographers, SEO analysts, programmers, graphic designers, project managers and representatives all aiming for your satisfaction. Among its clients, Virtuo360 includes Ivanhoe Cambridge, C2MTL, Sid Lee, Simons, Energy Cardio, GoodLife Fitness, Life Time Fitness, Montreal Impact, Télé-Québec, Joe Fresh, Quebec Tourism and Hotel Institute , H & M, Pointe-à-Callière Museum, Montreal Museum of Contemporary Art, AMT, Loto Québec, Montreal Arts Place, Rogers Communications, Ski Mont-Tremblant, Hard Candy Fitness, CAE / Bombardier, Mercedes-Benz, Hyundai Canada, the New York Film Academy, Ford, McDonald’s, Cirque du Soleil and more than 4000 small and large local businesses and public places of all kinds.